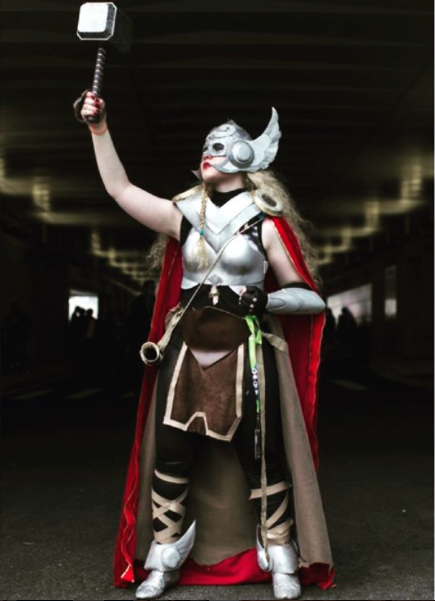 This is my Thor (Jane Foster) costume based on the new Thor from Marvel comics secret wars arc. 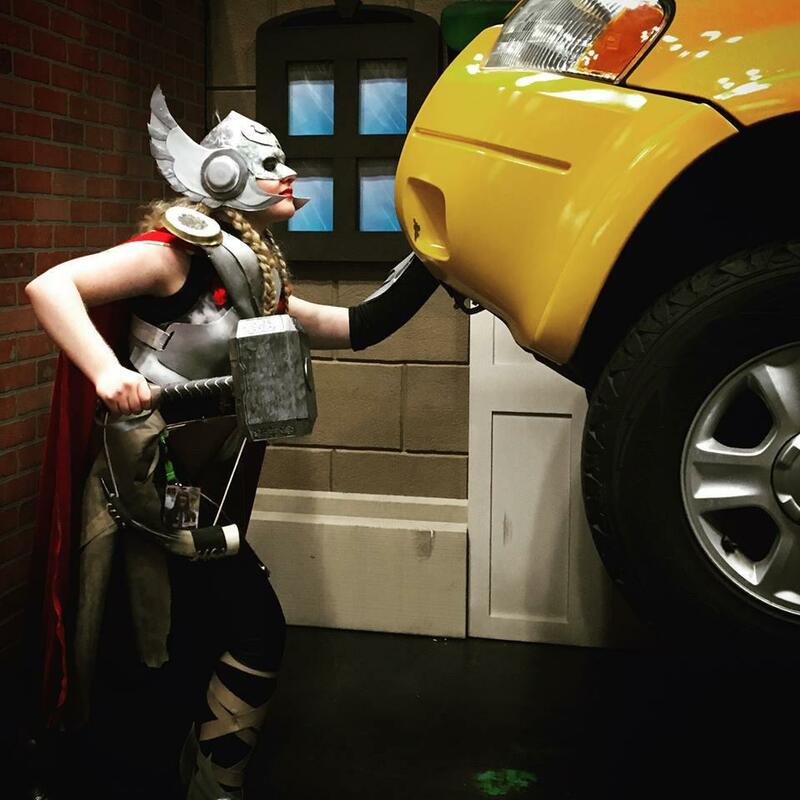 These pictures are from the last time I wore it at New York Comic Con. Everything with the exception of the hammer is hand made or repurposed and put together by me. The main materials are fabric, friendly plastic, wonder flex plastic, and craft foam, with some leather and metal mesh detailing.